Poor access to water, sanitation, and hygiene (WASH) services has serious implications for human health and wellbeing, and the impacts are not equally distributed. Despite knowledge of women’s central role in collecting and managing water for the household, more solutions are needed to address gender inequalities relating to WASH services. The aim of this project is to develop a tool to assess women’s vulnerability to inadequate WASH. This will help identify ways to improve WASH security and address the needs of women. A mixed-methods case study conducted in rural Burkina Faso will be used to develop and pilot this tool. 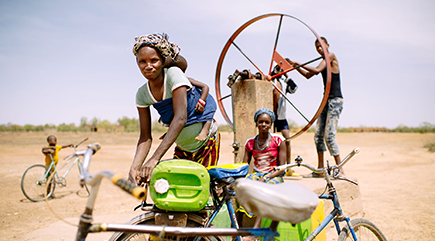 The project will engage a range of stakeholders, including policy-makers and practitioners, to identify opportunities to strengthen inclusive implementation of WASH services, in Burkina Faso and beyond.